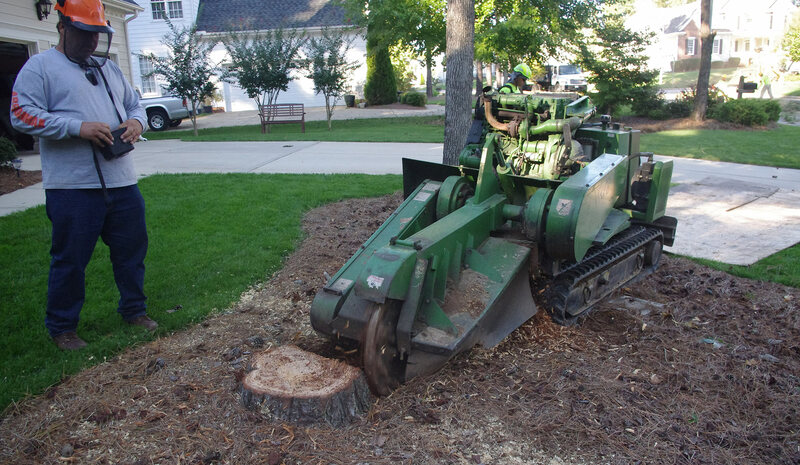 Stump grinding is usually the final step in the tree removal process. Typically the tree removal crew will leave the remaining stump 4-6 inches above the ground for the stump grinder to take care of. Stump grinders come in all shapes and sizes. Some stump grinders have tracks and some have wheels. Some stump grinding machines are operated via a remote control and some are operated by handles on the machine. All stump grinders use the same process for grinding. There is a rotating cutting wheel on the front of the machine that has carbide teeth attached to it. Once the Stump grinder is maneuvered into place the wheel will be engaged and the grinding will commence. Once engaged the cutter wheel will work back and forth over the stump. It will grind about 2 inches at a time. 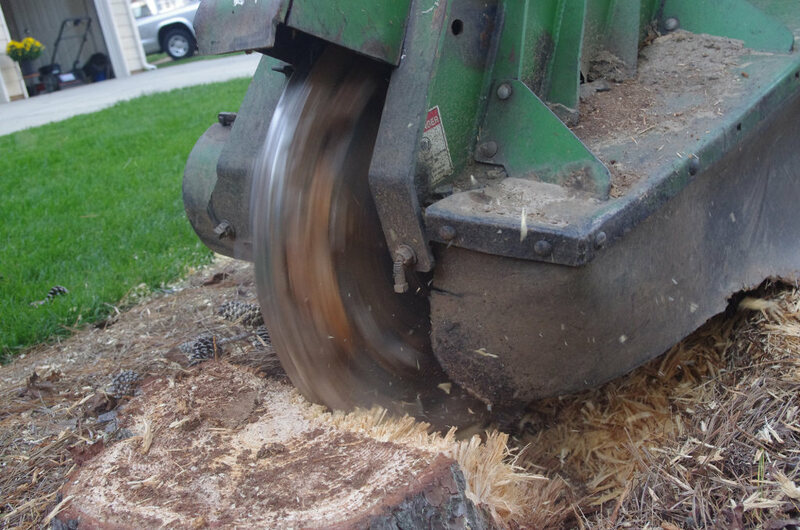 The typical stump will be grinded to a depth of 6-8 inches below the grade. After the stump grinding process is done all of the mulch will be raked into a pile and left to settle. If you are planning on installing turf or new trees and shrubs you will need to remove the mulch. 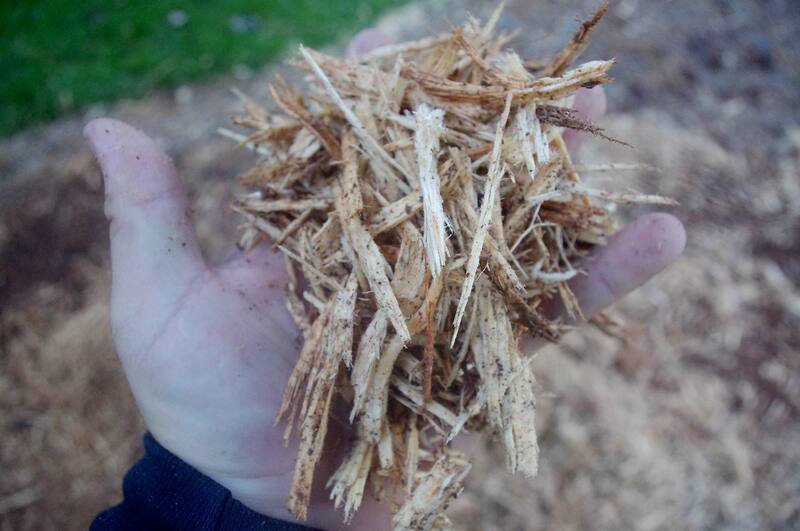 This is what the mulch looks like after the grinding is complete.